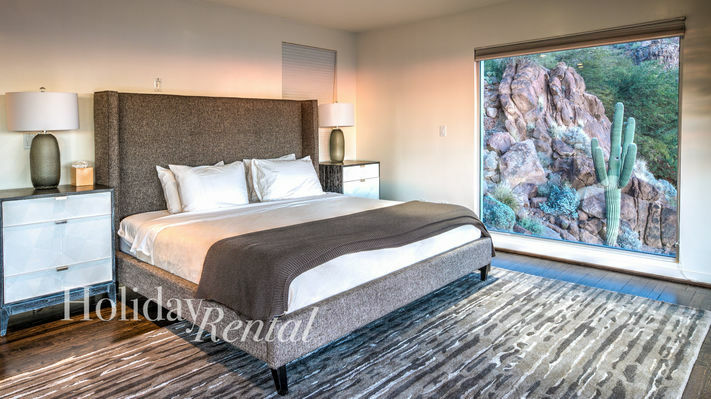 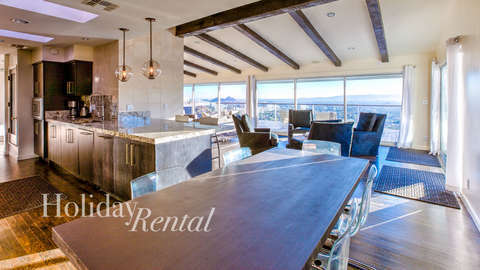 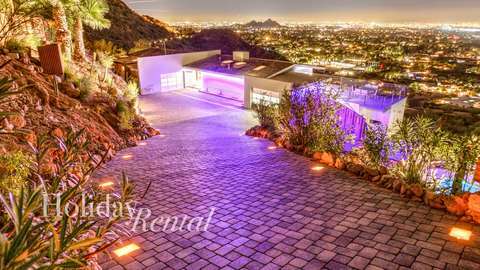 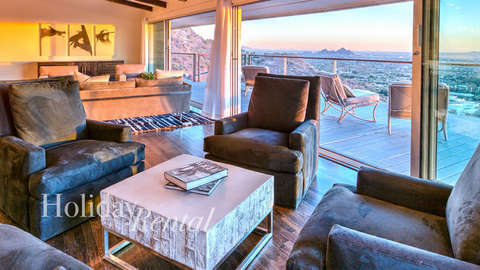 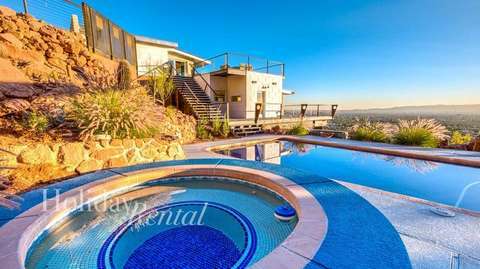 Great Villa nested on the south side of famous Camelback Mountain it is a 4 bedroom, 1 den, 3 bath soft contemporary villa. 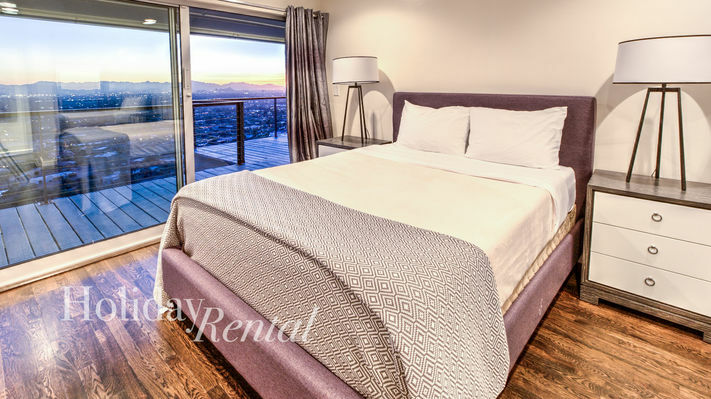 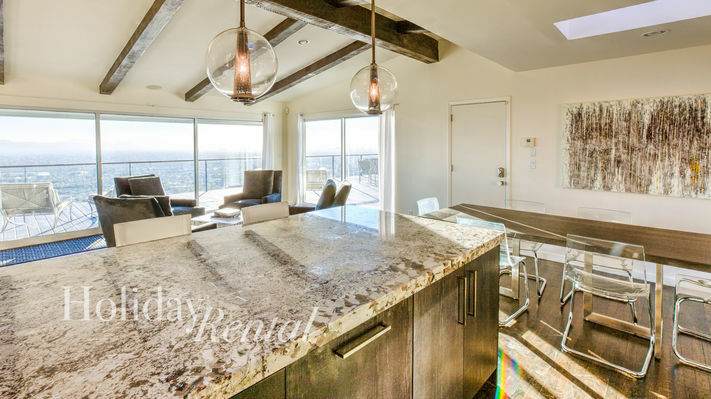 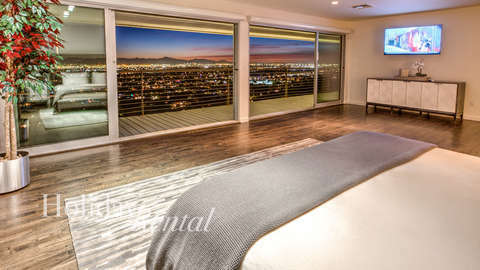 Glass windows/doors encompass the entire main home with spectacular views of the entire city including downtown and sunsets. 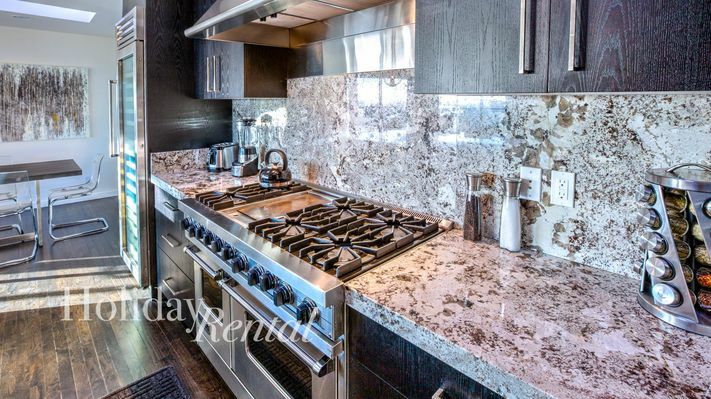 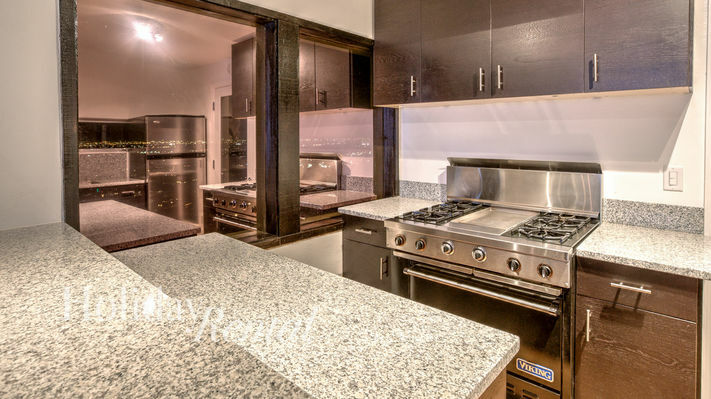 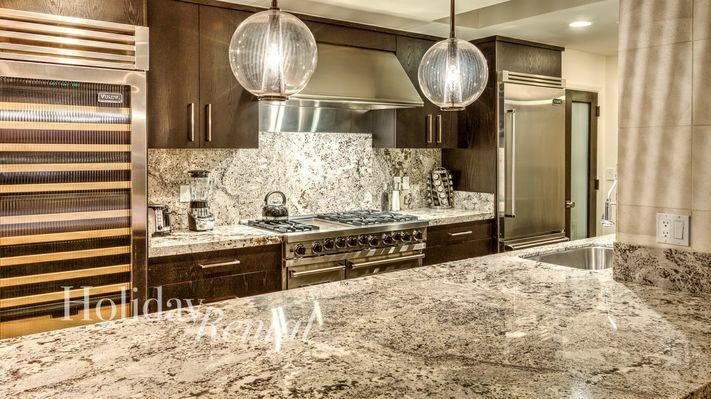 Epicurean Kitchen with all Viking Appliances, wine cellar, which all opens to the great room. 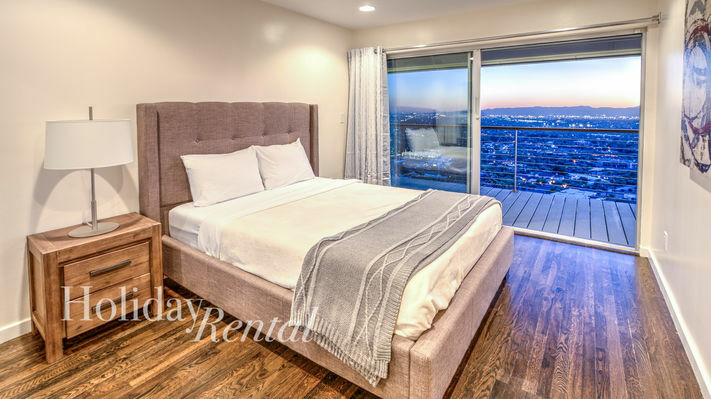 Master bedroom, 2nd and 3rd bedroom face the city below, so each morning and night you will have amazing scenery. Step outside to the guest house below with a small kitchen, the 4th bedroom & 5th sleeping area (den), one bath, as well as views/deck to enjoy. 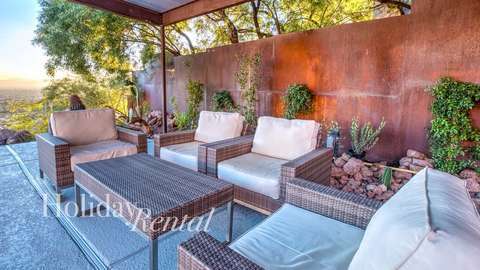 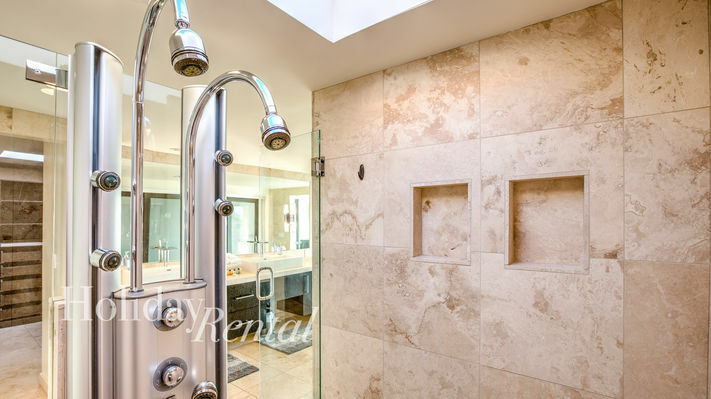 Home features a secluded yard with spa and a tiled pool to enjoy the city views. 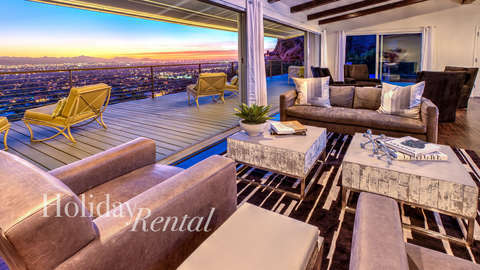 Please note, we do not book any rentals past 6 months out, prices are not yet entered in our system. Please reach out when you are in the 6 month window. 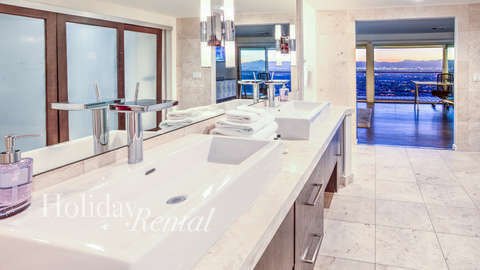 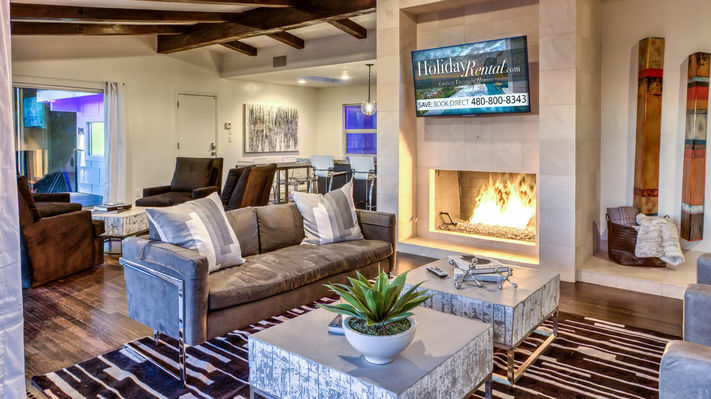 In order to provide a great guest experience for each of our guests, Holiday Rental has strict requirements that must be met in order to book this home. We must speak with each group prior to booking. o We do not charge a security deposit and instead we hold a CC to place on file just like a hotel. 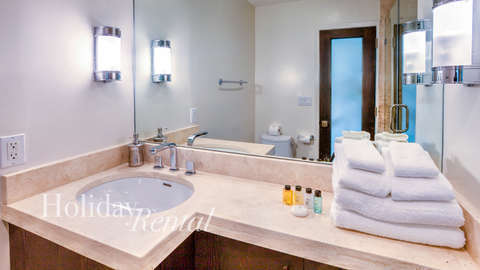 o We will also ask for ID and the CC used at time of booking to be present at time of check in, just like a hotel. 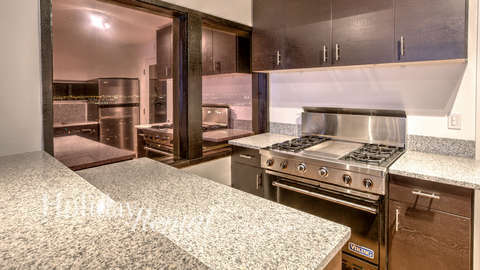 o No loud noise after 9pm. Violation could result in removal without refund.